Labora is taking part in Prügiteadlaste päev this Saturday in Tartu! Each year the Teadlaste Öö Festival adds new and exciting events to its plan. This year’s newcomer is “Prügiteadlaste päev”, which takes place on the 29th of September at the Science Centre AHHAA. This event focuses on reducing and re-utilizing garbage production and creating new things from old. Labora recycles paper to create new paper – and this is exactly what we will teach you how to do! Stop by to make your own paper by hand. In addition to that, you can make a print on your handmade paper, using repurposed materials. 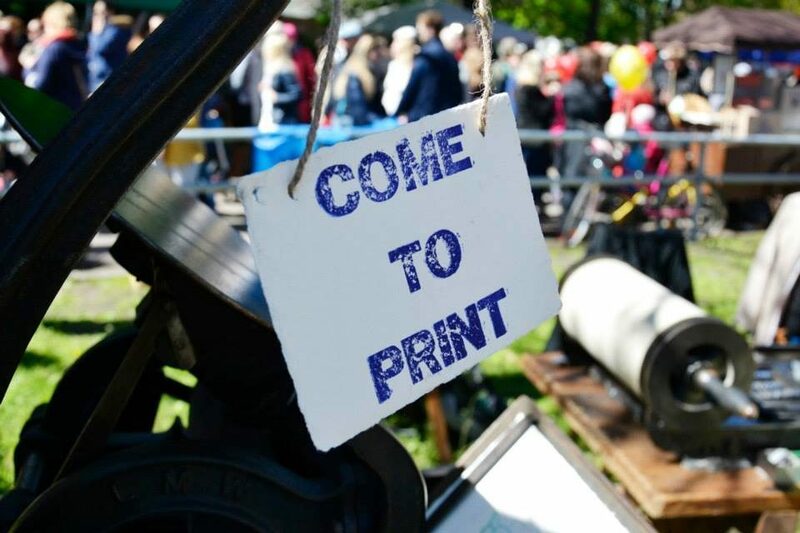 Our papermaker and printmaker will guide you through the process! The workshop is open to participants of all ages. Join us to get an early insight into our soon-to-be-opened Labora Workshops for Children – our creative space which we’ve been developing as a part of the Creative Makers Project. We’re excited to join the festival which resonates with our own values and goals – recycling and repurposing waste materials. Let’s meet and share ideas how to produce less garbage and improve Estonia’s environment. See you soon in Tartu!